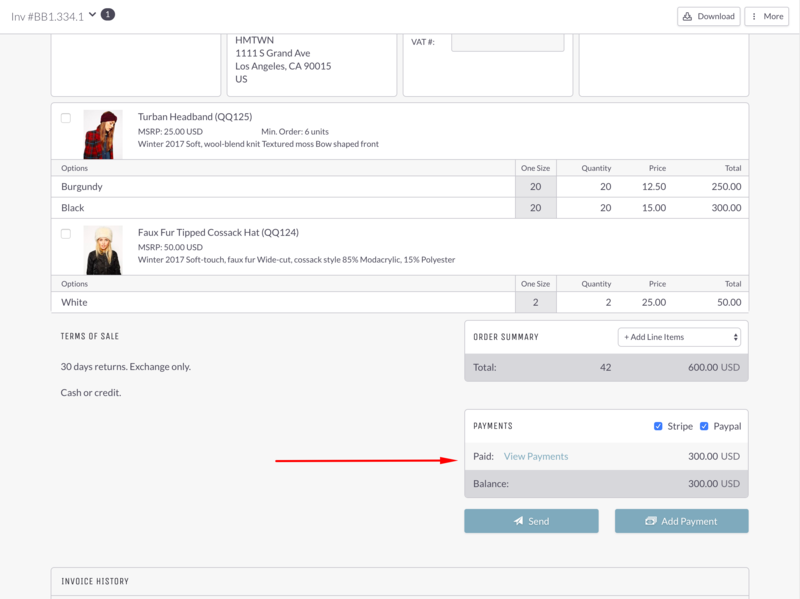 When an Order has been received with a Deposit applied, you can view the Deposit in the Deposit Paid box at the bottom. The Deposit will exist similar to a "Credit" which can be applied to any Invoice. When you create a New Invoice, you will be asked if you would like to apply the Deposit. If you click Yes, you will see a confirmation message. The Deposit will then be applied to the Invoice at the bottom. 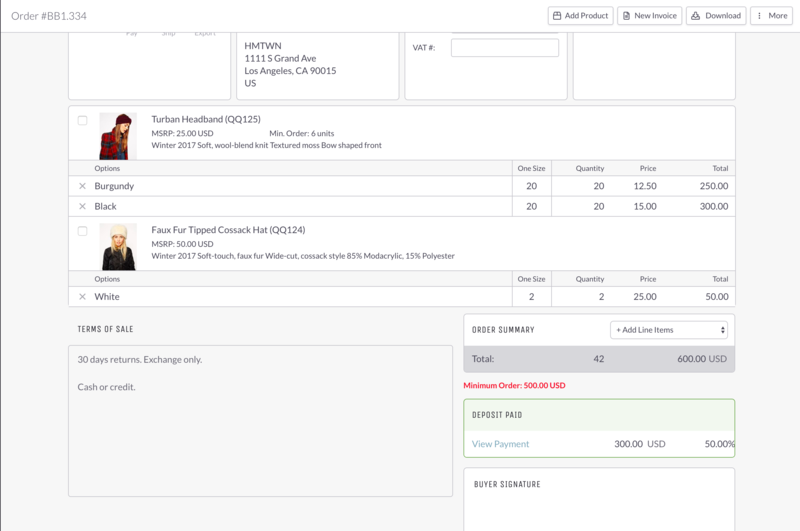 The remaining balance will be the amount requested from your Buyer when the Invoice is sent to them. 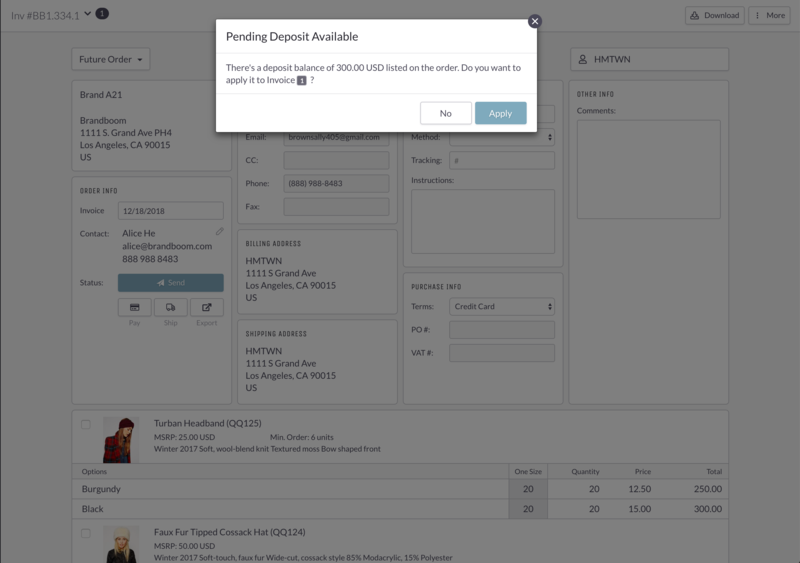 If you apply a Deposit to an Invoice and click "View Payments," you will see a record of the Deposit being applied. Please note that this record will not contain the actual payment details since it is essentially a credit memo. To view the payment details, view the Payment on the original Order Form.